Navigating your options can be challenging. With our lightweight specialty capability, breadth of freesheet and hybrid offering and our 80+ years of market experience, we are confident we can impact your bottom line through yield savings and product innovation. 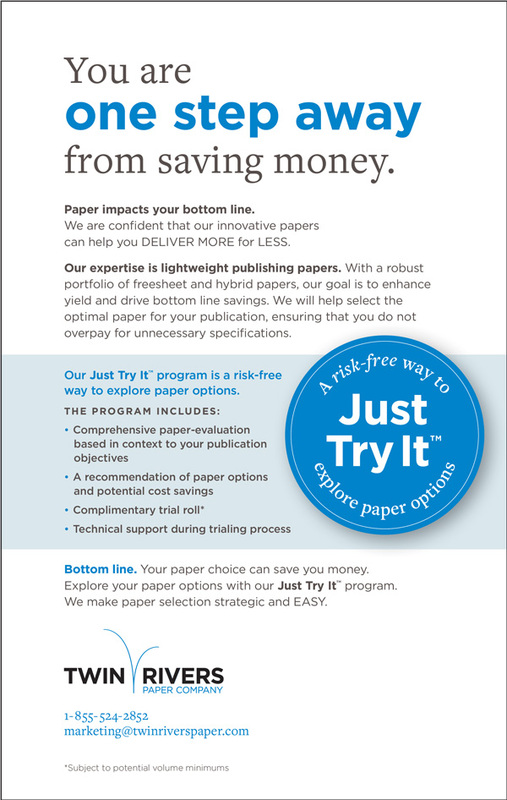 Our Just Try It™ program makes exploring your paper options easy! We will contact you to discuss your objectives, production parameters and current paper usage and make recommendations to deliver value. Take a minute to submit a request.